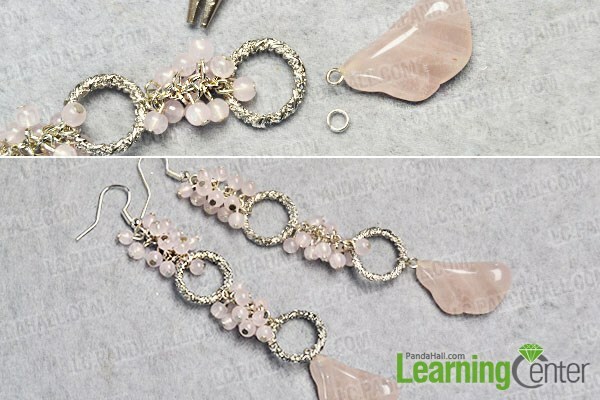 Summary: Today’s PandaHall tutorial will share you a pair of pink bead cluster dangle earrings, they could be a great choice to match your daily outfits. 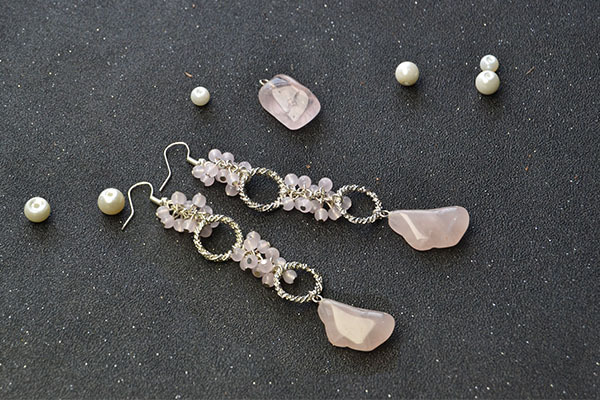 To make these pink beaded dangle earrings, you need to prepare some pink jade beads and two pink gemstone pendants. 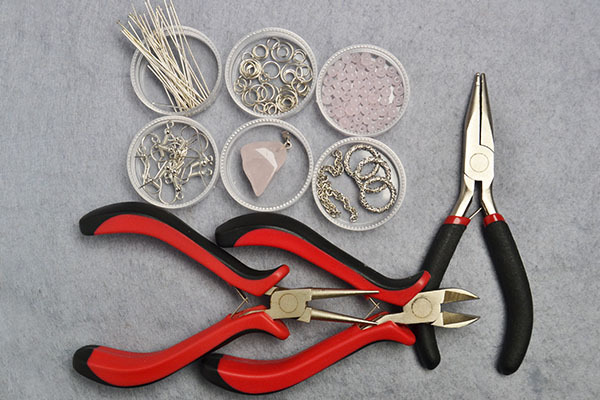 Besides, other basic earring making supplies are needed as well. 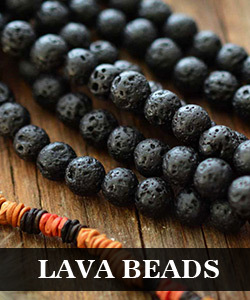 Now follow me to check out the details. 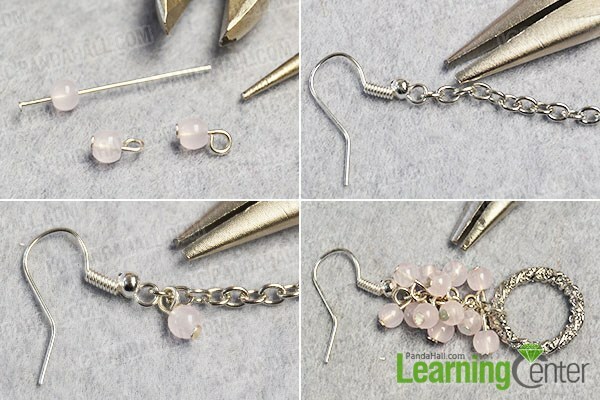 3rd, attach the pink bead links to the chain loops, each loop with 2 bead links, and then attach a Tibetan silver hoop to the last loop with a jumpring. 1st, add a piece of twist chain to the Tibetan silver hoop with a jumpring, add 12 pink bead links to the chain as we’ve done in the first step. Then add another Tibetan silver hoop the last chain loop with a jumpring. 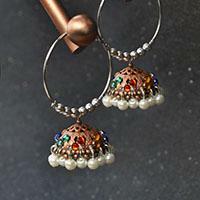 At last, attach the pink gemstone to the second Tibetan silver hoop with a jumpring. 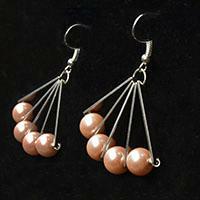 2nd, repeat previous steps to make the other earring in the same way. 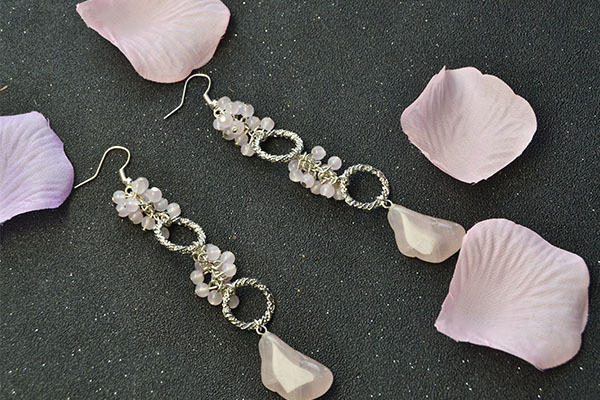 Do you like these pink dangle earrings? I do love their fresh colors, they remind me of the beautiful spring sakura. If you like them as I do, you can follow this tutorial to make a pair at home.